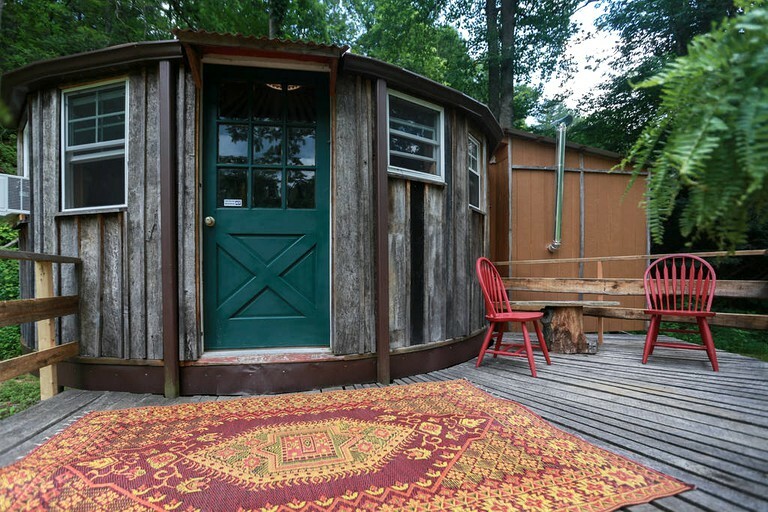 This yurt rental near Asheville in Leicester, North Carolina, can accommodate up to two guests at a time, making it an ideal spot for a romantic getaway in the Blue Ridge Mountains. 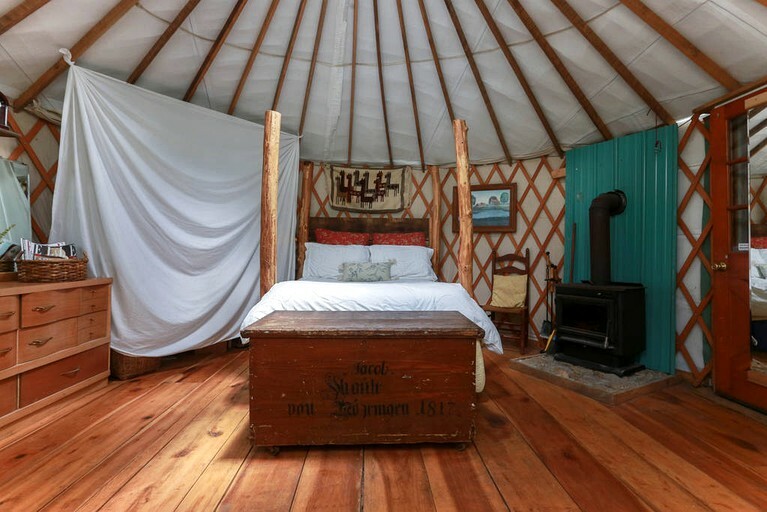 The yurt is furnished with a full-size bed and a full private bathroom, which is equipped with a standing shower, a compost toilet, and a sink. 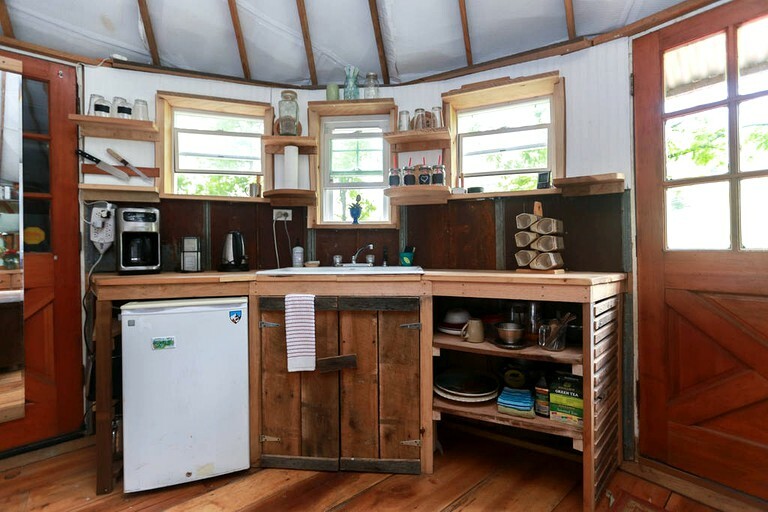 The yurt also contains a kitchenette, which has a mini-fridge and a coffeemaker, allowing guests to prepare their own breakfasts or a meal to take on the road before heading into the surrounding North Carolina wilderness. 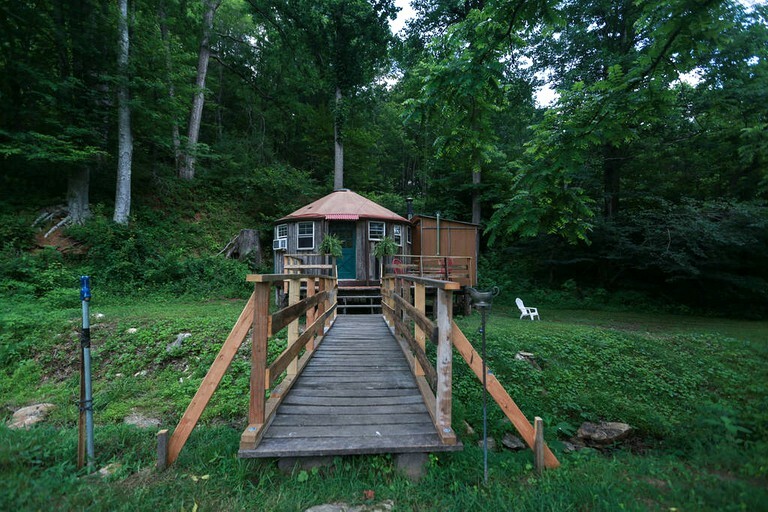 The yurt has a bed and a full private bathroom with a compost toilet. 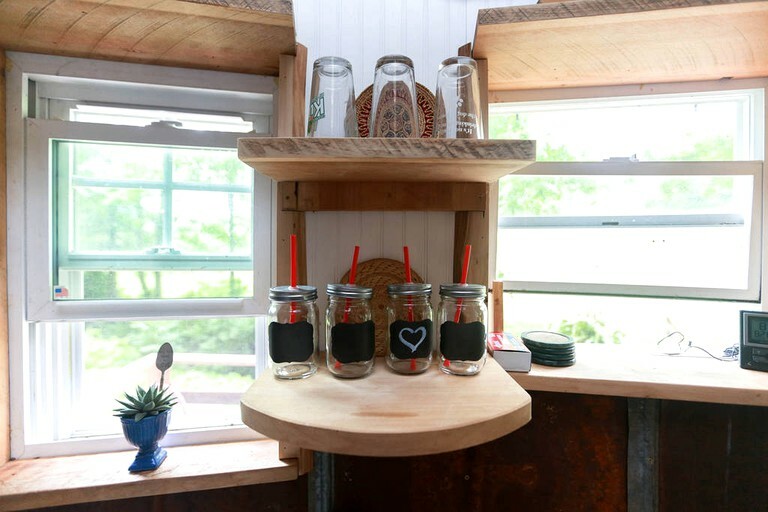 There is a kitchenette with a sink, a single-burner stove, a mini-fridge, and a coffeemaker. 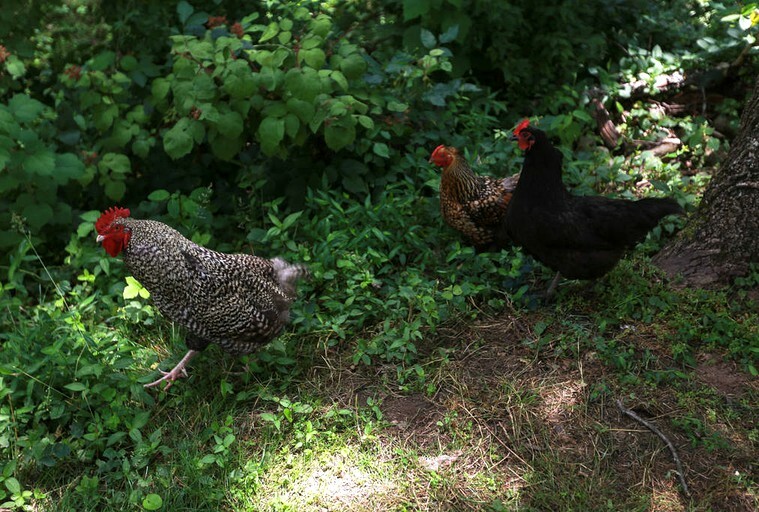 Guests will also find a television with a DVD player and an air conditioning unit. The front porch is furnished with patio chairs and a barbecue. 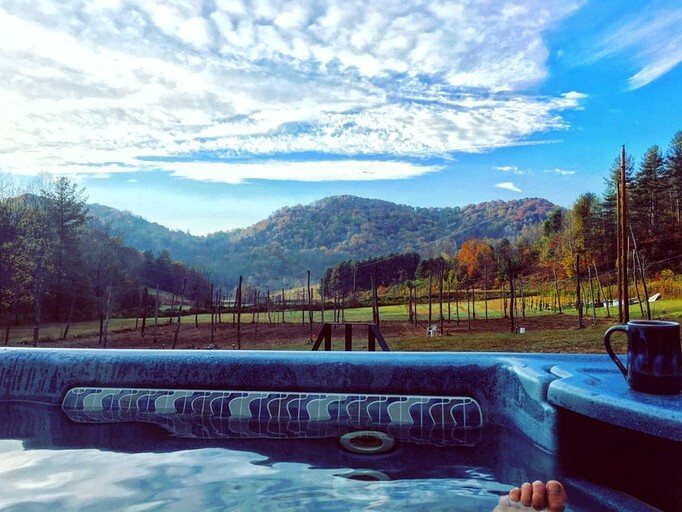 Guests have access to a fire pit and a hot tub as well. 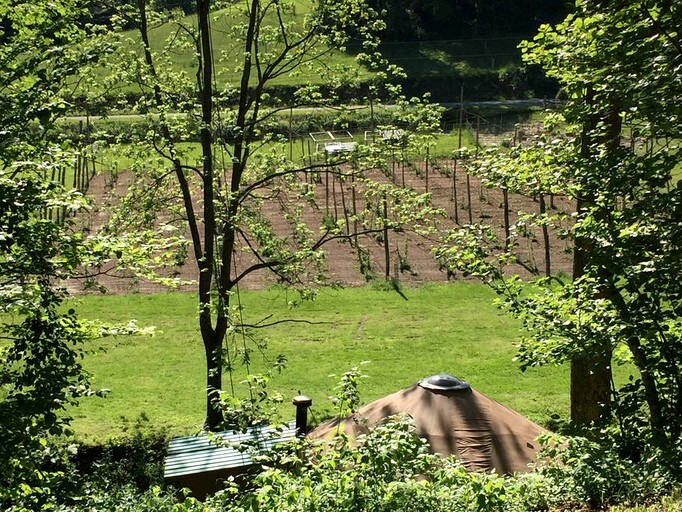 This yurt on a hops farm is an ideal getaway for glampers hoping to explore the area of Asheville and the Blue Ridge Mountains in North Carolina. 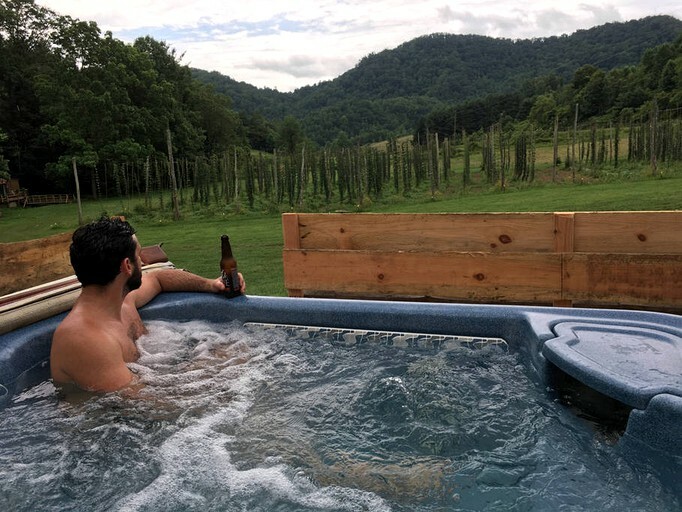 While staying at the farm, guests can learn about the sustainable practices used to grow the hops and breed the animals living on the land, then head over to the hot tub for a soak with views of the mountain peaks beyond the property. 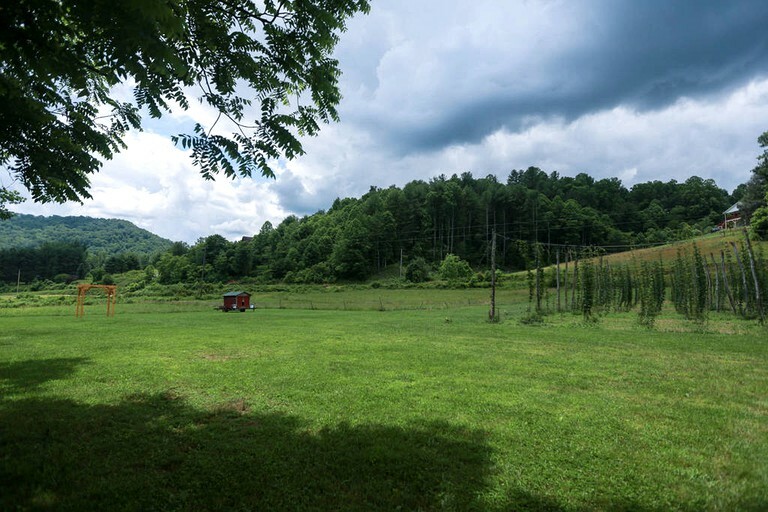 There are several areas to explore near the farm including the more rural towns, Hot Springs, and Marshall, with hiking, rivers, and restaurants. 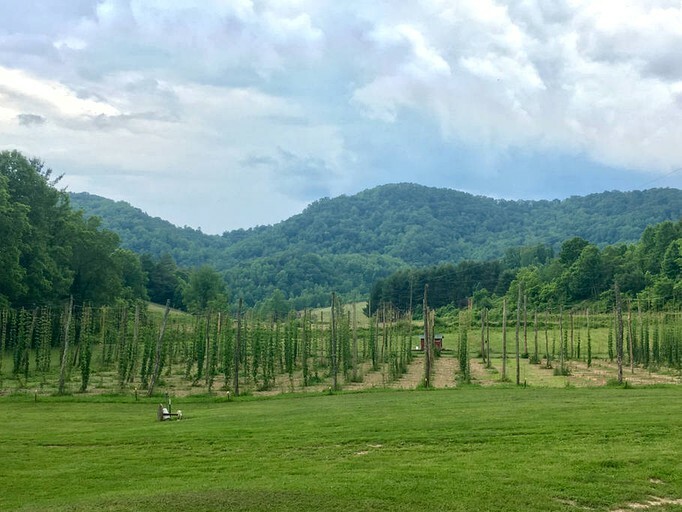 Of course, there is the popular city of Asheville where you can visit the historic Biltmore Estate or spend the afternoon wandering through the art galleries at the River Arts District. 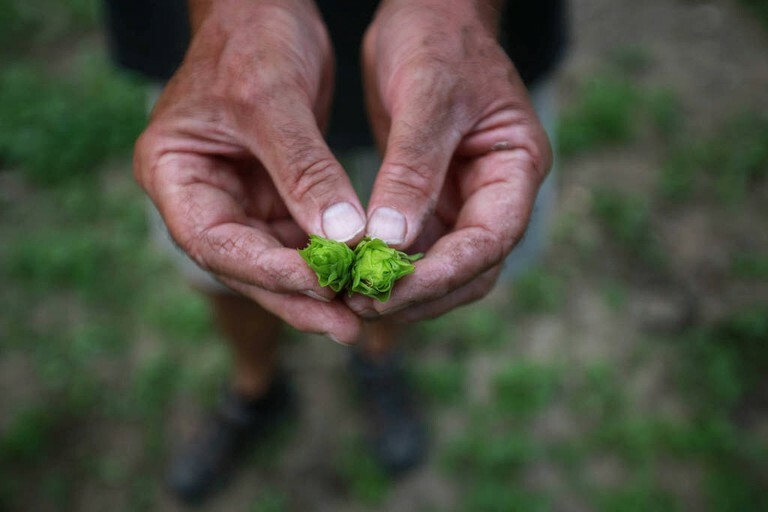 The town is also home to the Thomas Wolfe Memorial and the North Carolina Arboretum, attracting visitors of all types to see the renowned literary and natural monuments. 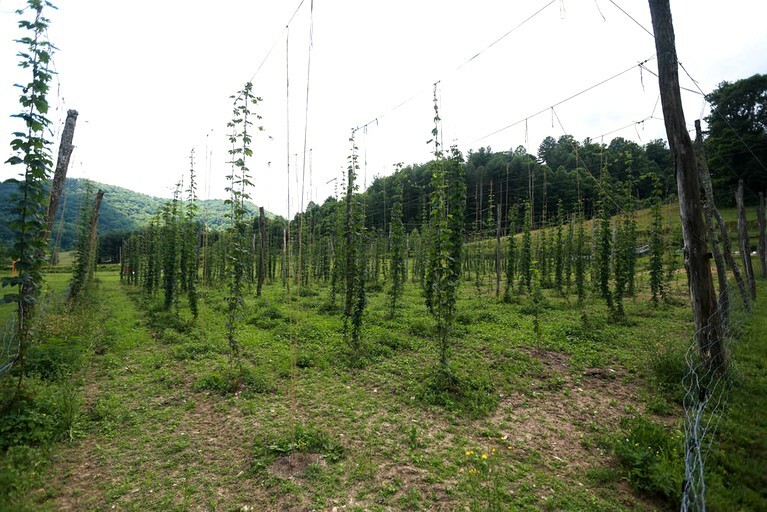 The town also has a medley of restaurants, shops, bars, and cafes to choose from. This is a non-smoking property. Well behaved dogs are welcome and this accommodation is not heated.